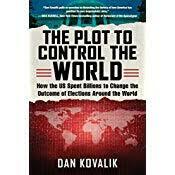 The Plot to Control the World How the US Spent Billions to Change the Outcome of Elections Around the World. By Dan Kovalik. 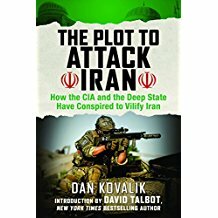 Using mostly mainstream sources, Dan Kovalik documents the most important episodes of post-1945 record of election outcomes engineered by the US and its intelligence agencies. 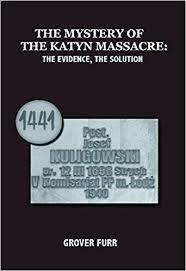 A full account of US election meddling around the world since 1945 would require a library of books. Election management by the US is now an industry, a “political technology” in the words of one scholar, complete with its own nomenclature: “color revolutions” and “demonstration elections” and carried out by private consultants and public agencies: the latter including such US-taxpayer-funded entities as the ill-named National Endowment for Democracy and its party institute offspring, the National Democratic Institute and National Republican Institute, on whose boards sit US Senators, supervising the exercise of US soft power. In 1996 in Russia vast sums of US money, under the watchful eye of US President Bill Clinton, openly flowed to Boris Yeltsin, to ensure that Yeltsin’s cronies, the kleptocrats and newly minted oligarchs of post-Soviet gangster-capitalism stayed in power. Kovalik shows that “the Americans are coming ” — not “the Russians are coming” — ought to be the watchword of peoples eager to keep or win their national independence. PreviousFrom the Classics: Lenin on What is a Revolutionary Situation?